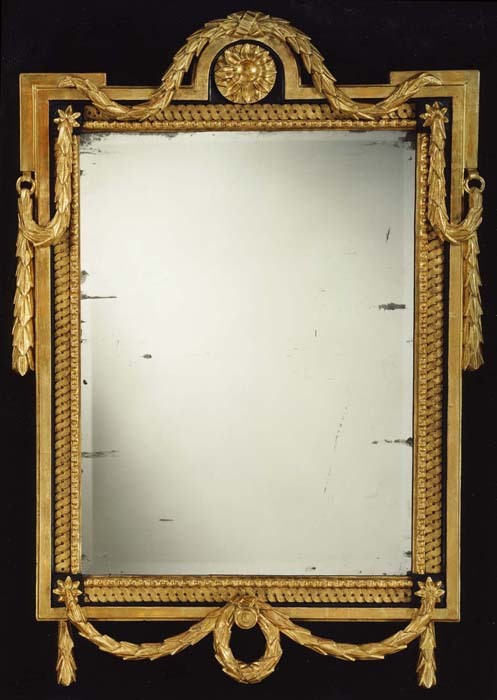 A fine quality eighteenth century carved wood and water gilded wall-mirror with original painted decoration. The gilding being largely original and small repairs to the carving. This model is of pure neo-classical design as can be seen from the garrya swags, the guilloche mouldings, ribbons and the sunflower. 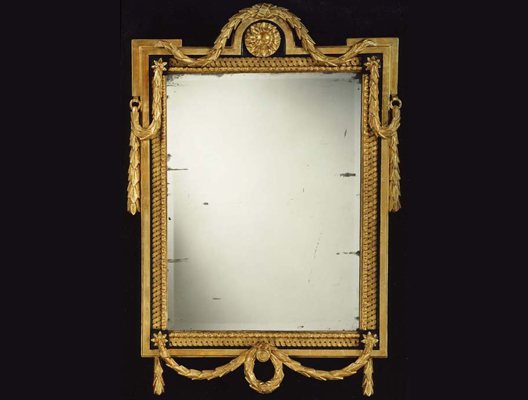 The mirror plate is original and has a soft bevel on four sides. Height 37in (94cm). Width 25 1/2in (65cm).